The WinFusion safety IV catheter offers due to its unique design highest safety for the vascular access. After puncture the needle will be completely withdrawn into the closed system and stay there, so that a needle stick injury is not possible anymore. The catheter itself and the tube are connected seamlessly and offer therefore advantages for patients and nurse. The risk of hub contamination is minimized, no blood exposure is possible anymore and there is no need to prepare an additional blood tube. 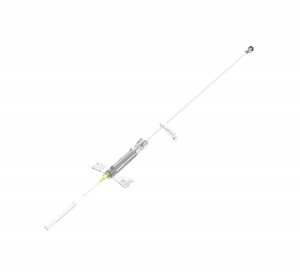 The WinFusion IV catheter has been developed for infusion therapy, intensive care and anesthesia. The high quality requirements also apply to the service. So all common variants are stocked for your needs and delivered with high accuracy. The sales team will support you in your planning.